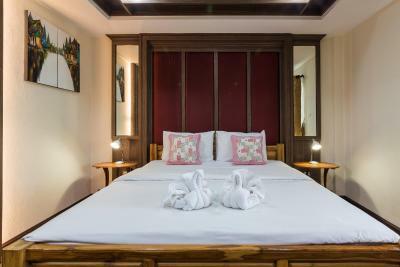 Lock in a great price for Baanchernchiangmai Hotel – rated 8.7 by recent guests! Free water, coffee and chocolate always available. The managers were amazingly friendly, and helpful. Very helpful host .. clean. 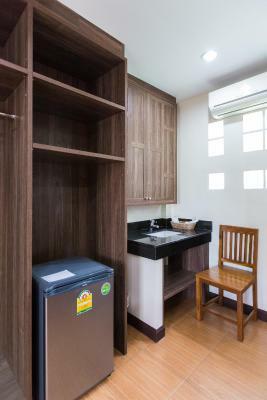 Comfortable airy room .. .. Quiet but close to main road .. 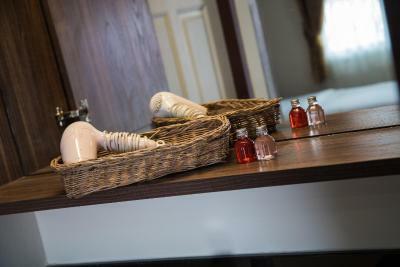 The staff were very friendly, they exceed our expectation with our stay there. Will be staying here the next time we come back. Thank you very much. Great location! Very quiet and very helpful and friendly staff. A very short walk to one of Chiang Mai’s great restaurants, Good Morning Chiang Mai. Also very close to one of Chiang Mai’s best parks. Right in the old town. Very clean. Great value! I’d stay here again anytime! 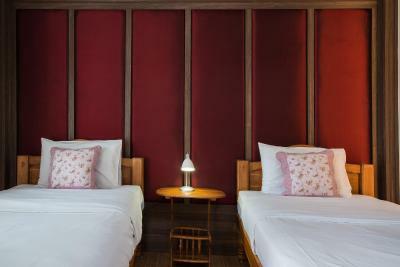 Great location and fantastic service My friend and I had a wonderful stay at Baan Chern Chiang Mai hotel. Room is clean and comfortable. 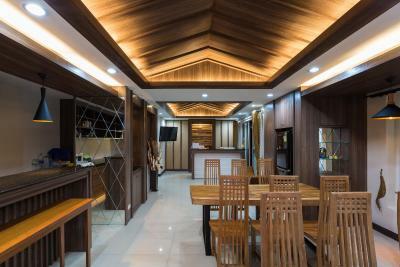 Location is good, walking distance to many attractions, shops and eateries. Close to night market and Riverfront. The hotel staffs are polite and helpful. Thank you for making our stay a memorable one. Highly recommended! The location was great,and the staff as well (even though they don't speak much English). They offer tours at the same prices than other agencies. Nice water pressure in the shower. Clean and large rooms, furnished well, showers and toilet were spotless, well maintained, and new, staff was very helpful, and wifi was great. Nice restaurant next door too. Basic but good breakfast with western/Chinese options. Good location - the whole city center withing a walking distance, a night market nearby, the only reasonable park/playground in the old town area is 10 minutes away. Professional and helpful staff. Quiet! 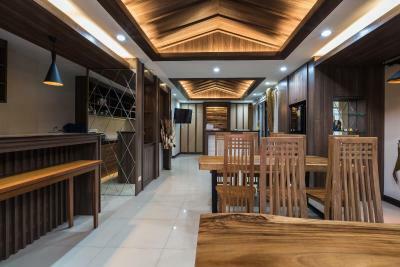 The restaurant next door is popular among locals and offers great value. 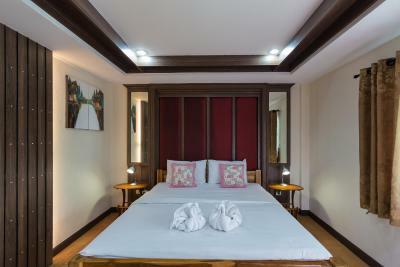 One of our top picks in Chiang Mai.Baanchernchiangmai Hotel is offering accommodations in Chiang Mai. 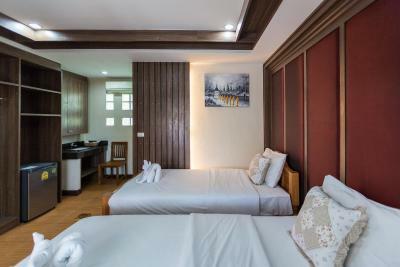 Located around a 5-minute walk from Chiang Mai Gate, the guesthouse with free WiFi is also 0.4 miles away from Chedi Luang Temple. 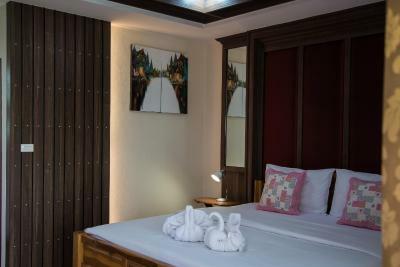 The property is a 14-minute walk from Wat Sri Suphan, and within 0.6 miles of the city Chiang Mai Old City. 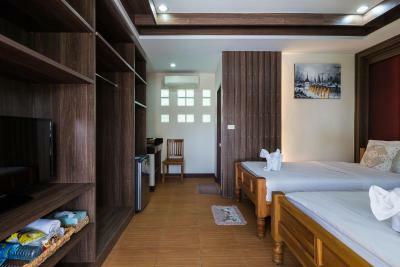 At the guesthouse, each room is equipped with a closet. 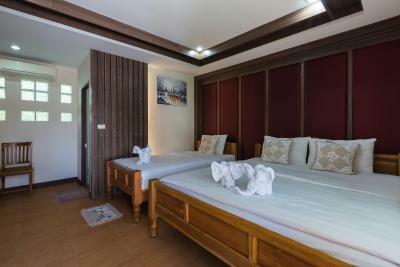 Rooms have a private bathroom and a shower, and certain units at Baanchernchiangmai Hotel have a terrace. 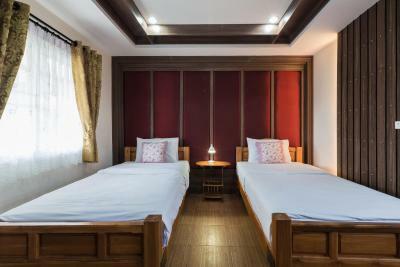 At the accommodation rooms are equipped with a flat-screen TV with satellite channels. 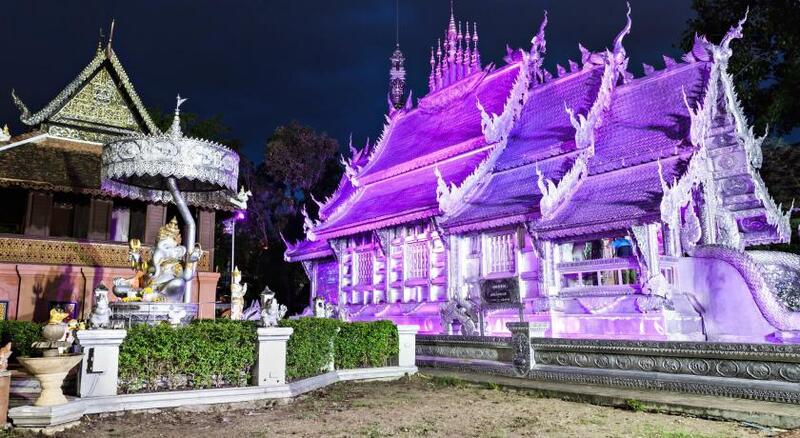 Three Kings Monument is a 14-minute walk from Baanchernchiangmai Hotel, while Elephant Care & Grand Canyon Jumping is 0.8 miles away. Chiang Mai Airport is 2.6 miles from the property. 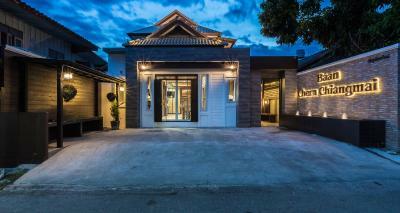 뀐 Located in the real heart of Chiang Mai, this property has an excellent location score of 8.8! 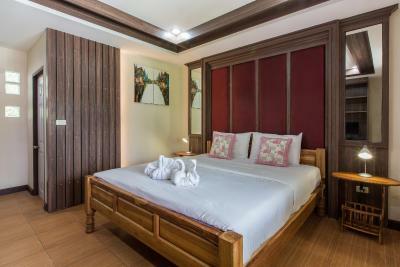 When would you like to stay at Baanchernchiangmai Hotel? 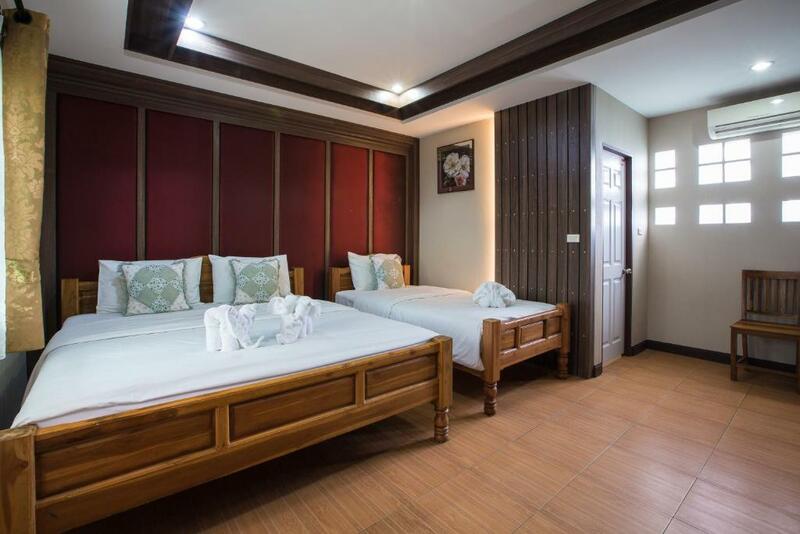 This triple room has a balcony, tea/coffee maker and air conditioning. 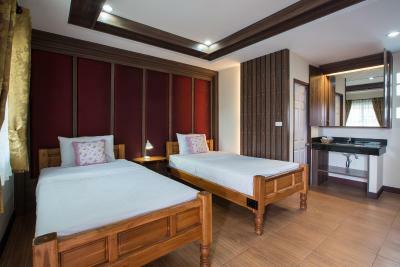 This twin room features a balcony, tea/coffee maker and seating area. 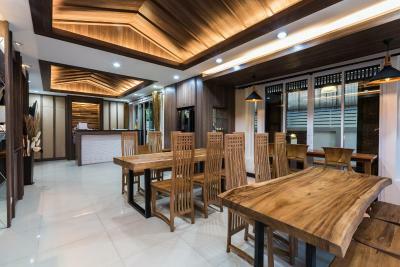 House Rules Baanchernchiangmai Hotel takes special requests – add in the next step! Next door neighbours were a noisy restaurant. Expect some pans and pots noise early mornings, but nothing overly dramatic. Air con was VERY weak. Room is very hot when you leave for the days activities and takes a long time to cool down when you’re back. Communication with host is iffy - we organized scooter rental thru him for 6 days. 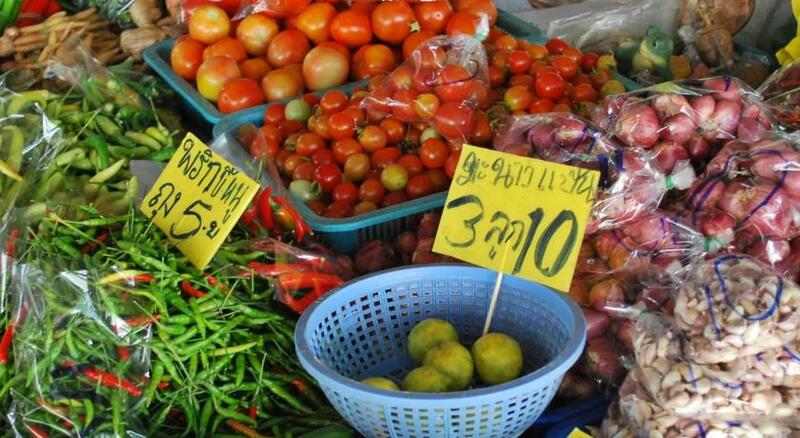 We paid a 2000thb deposit and the 6 days charge at the beginning. We wanted to return it a day early and he said no problem; then when came time to pay back the deposit he wouldn’t refund the days rate that we didn’t use, saying it’s in the contract that no refunds for early return... but never said anything when talking to him about returning it. In the end, he paid us back out of “his pocket”. Made the experience not enjoyable; and the hassle was unnecessary. 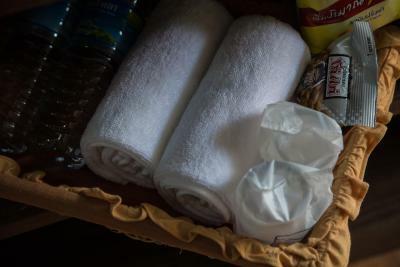 Laundry services are expensive, use local service and don’t thru the hotel. 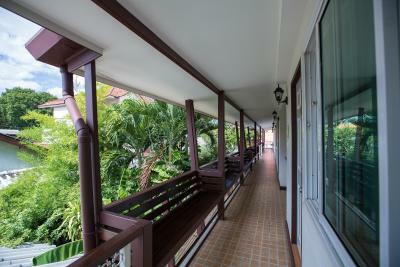 Easy to reach hotel right inside the central square of the old town of Chaing Mai. 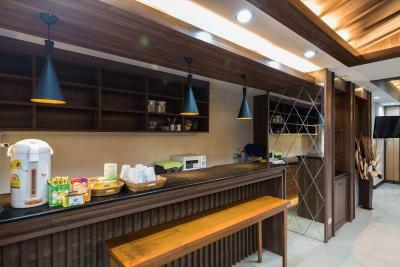 The hotel offers nice and spacious rooms, powerful AC and 24/7 room with coffee/tea available. The staff was very helpful and very attentive. I thought I had gotten robbed at the temple, and the receptionist was very helpful. Arranged for a taxi to go to the police and was always very friendly. Room was very clean. The owner was super kind. Staff very friendly and helpful in any possible way. 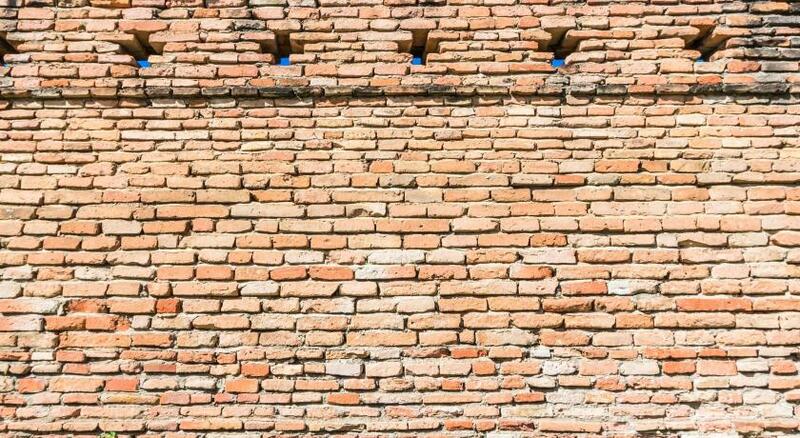 Very good position in old Town, walking distance from restaurants, bar and weekend Market.